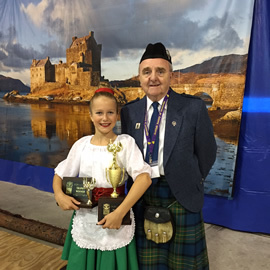 A founding member of The Scottish Society of Louisville, Kentucky, Joyce has been teaching Scottish Country Dancing since the early 1980s and until 2014 was the leader of the local branch. 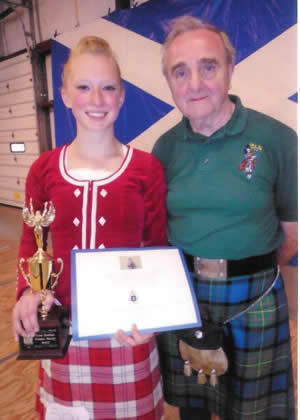 She earned her preliminary and full certificates of dance at Brock University in St. Catherine’s, Ontario. 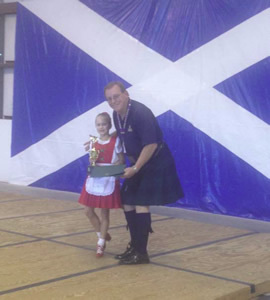 Joyce has retired from teaching dance with the Louisville Scottish Country Dancing Society iin Louisville, Kentucky in 2013. In 2014, Joyce moved to Virginia to be closer to her family. 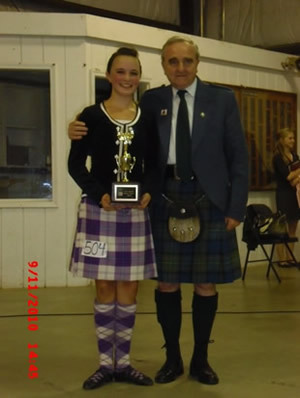 Thank you, Joyce, for your unwavering comitment to advance the love of and participation in the art of Scottish Dance! 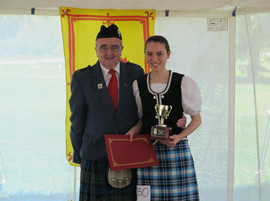 2016 Adeline Byrnes, with Regional Celtic Commissioner Robbin Goodin at left, and Society Past-President, Jim Hughes, at right. 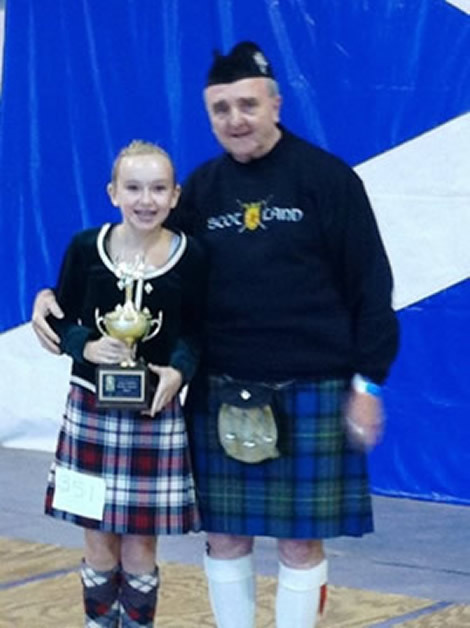 2014 Laura Mihelc,from Zionsville, IN, with Society Past-President, Jim Hughes.